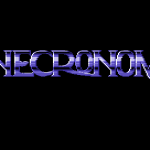 Mentioned as a future title from Linel in Your Commodore issue 73, Necronom was a R-Type clone which saw eventual release on the Amiga/ST back in 1991 by Linel and later on Amiga Fun magazine around 1992/93. 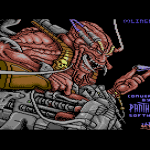 The game got mixed reviews, with Amiga Format totally slating it – but Amiga Power’s Stuart Campbell loving it and finding it a good stop gap after playing R-Type 2. 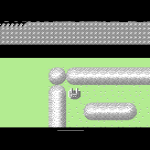 So what of the C64 game?… Well, as you can expect… Linel never mentioned a conversion again for the C64 and no screenshots or anything ever surfaced. 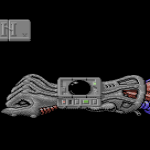 In 1992, Linel/Genias released Catalypse, but that was it. Contributor ‘Nemo’, found a review of the Amiga/ST game in a Greek magazine called ‘Computer Games’ in April 1992, which reviewed the game and also stated a C64 release on the formats list. Seems very likely therefore that something must have been started! 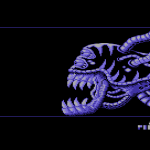 The Amiga credits list a familiar name – Michael Tschögl … so did he do the music, and did Andrea Pompili by chance also code this before Catalypse? 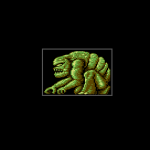 … Well, not quite! After porting a series of disks for Darren Melbourne, C64.com passed these onto us and we got to work checking the contents. 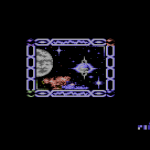 On one of the disks was a graphical slideshow from Chris Edwards, who worked for Pantheon Software (Superkid etc). 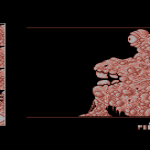 A good few screens were from an aborted conversion of Necronom (as well as a loading screen!). 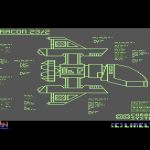 So we can confirm that Pantheon Software were to be behind the game! … a fantastic result! So what happened to their conversion?….. Did it get far?….. We need to track down Chris Edwards as a starting point, which might be tricky…. but its a lead! Check out the screenshots for now!….